Terrain/environment: Dirt and gravel trails through the woods. It did not quite live up to its “green” name in February, but I can imagine it is pretty spectacular in the spring and summer. Observations: The greenbelt is a long, narrow stretch, quite different from the other parks I’ve visited. There is no big parking lot and entrance but rather just trailheads within neighborhoods. I parked by one and started to go for a walk (no run this time because I’ve been sick), and just a few steps in, I decided that it probably wasn’t a good idea for me to go wandering in the woods alone. I wished that wasn’t true, because it was really peaceful and beautiful, but I got back in my car. As I was leaving, I discovered another, more traditional park above the greenbelt, with people walking their dogs and a family playing on the swingset. I parked there and finished my walk alongside the greenbelt. Would I go again? I’d like to go back with another person or two and get a chance to actually explore this, in a safer scenario. 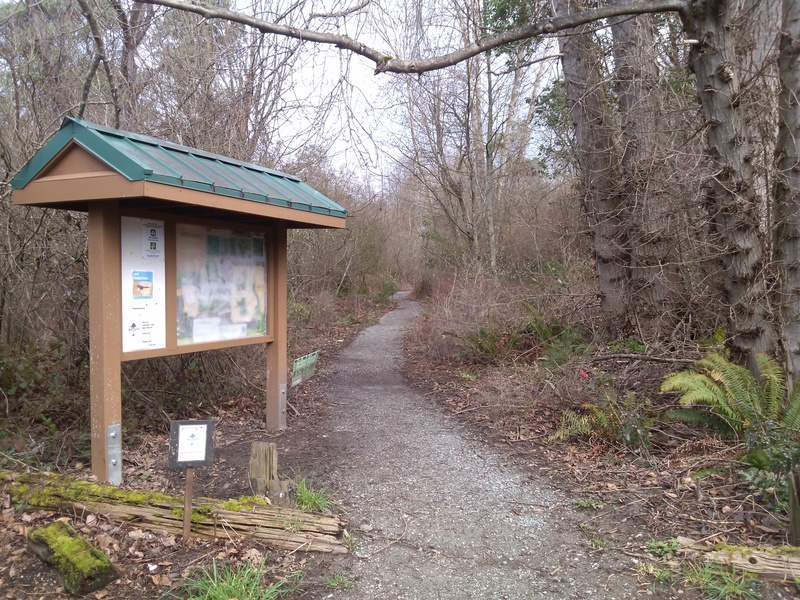 This entry was posted in A Run in the Park and tagged forest, greenbelt, Riverview. Bookmark the permalink.